For electric and gas water heaters alike, getting the tank flushed and cleared of sediment build-up at least once a year is an essential piece of maintenance that keeps the heater functioning smoothly and allows it to reach its maximum life expectancy. Morton Plumbing, Heating & Cooling, Inc.’s technicians are expert at providing this annual service, in addition to any other maintenance and repairs you may find your heater needs. 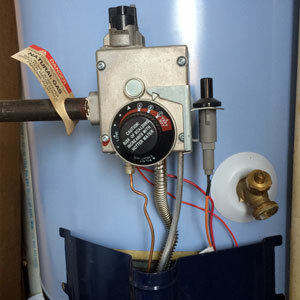 A water heater “flush” is a fairly straight-forward service in which a technician empties the heater’s tank and cleans it before refilling it. Over the course of the year, sediment collects in the tank, and minerals from the water create a film on the interior surfaces of the tank. A regular flush removes this buildup from the tank. During this service, the plumber also checks that the other parts of the heater are in tip-top working condition. Why is a Water Heater Flush Necessary? In both gas and electric heaters, the water that moves through the heater gradually leaves behind a thin film of minerals and sediment in the tank. This buildup forms a layer that prevents the heater from efficiently warming the water, prompting the need for a regular cleaning. The flush helps the heater to operate smoothly and last longer. Tankless water heaters should also be serviced regularly, since the water passing through its pipes still leaves behind mineral grime. While the general rule of thumb is to schedule a flush once a year, some heaters may be better off getting serviced more often, especially in homes with hard water that leaves a buildup of plaque quicker. Not only does this regular maintenance extend the life of the heater – it also prevents problems such as failing heating elements, damage in the tank from hot spots when the sediment buildup is too thick, or even loss of water pressure or a burst pipe. A wide variety of water heaters are available, ranging from standard heaters with a tank that holds a supply of hot water, to tankless models that heat water in coils as needed, to heat pump “hybrid” style heaters that conserve energy. Some types use gas while others are electric. Regardless of what kind of water heater is in your home, however, regular flushing, cleaning, and maintenance is a necessary service to keep it up and running. In addition to providing maintenance, Morton Plumbing, Heating & Cooling plumbers can also help you to determine how often to get your water heater serviced and answer questions you may have about keeping your heater operating efficiently. Schedule your water heater service or installation by calling Morton Plumbing, Heating & Cooling at (615) 255-2527 or by using our online service request form.